Update: The deal has ended, presumably because all the available units have sold out. I'd count on this deal (or a similar one) coming back in the near future, though, so don't fret if you missed out on today's. 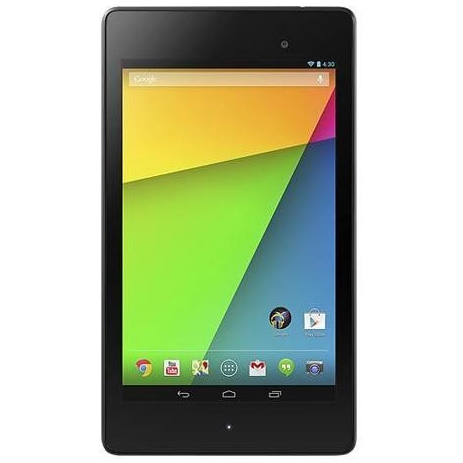 The new Nexus 7 is a pretty good deal at $229 - you'd be hard-pressed to find a better 7" tablet at any price. But no matter what the cost, it's always good to get it cheaper, and that's just what you can do if you head to this eBay listing . 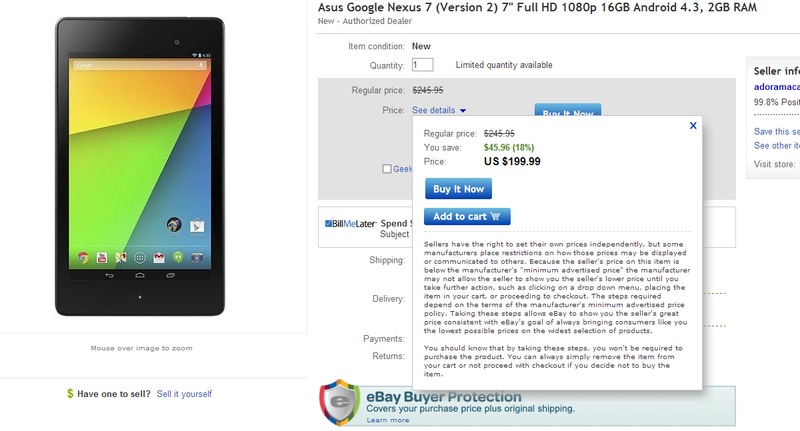 The price is obfuscated, but once you put the 16GB tablet in your cart, it's revealed as $199.99. Not bad at all. As usual with eBay Daily Deals, standard shipping is free to the United States. Faster shipping is available, but it starts to get quite expensive after you upgrade from USPS to UPS. American buyers can also avoid sales taxes unless they live in New York or New Jersey. The sale is also open to buyers in Canada and Australia, though naturally they'll have to add a little for international shipping. eBay Daily Deals are just that: daily. It's unlikely that this price will last until tomorrow, and the deal expires if the merchant should run out of stock. Considering how hot the Nexus 7 2013 is, I'd say that's likely to happen sooner rather than later.